Cabin Bed Pirate Mice & Micettes! 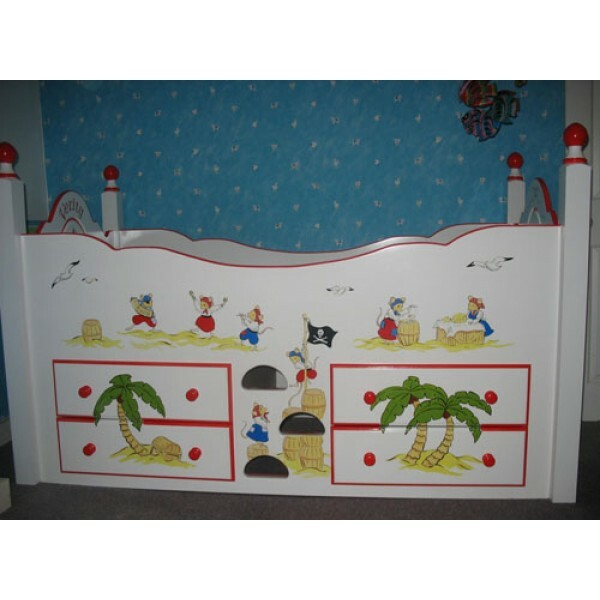 Verity's new 'Pirate Mice' cabin bed with posts, which also includes some female pirates!! Hand-painted by Frank! Choose your own colours to match your walls or bedding. Bed shown has 4 deep storage drawers for all that TREASURE!!!!! (or can have 2 drawers and 2 doors). Pirate mice children's bed as shown 3', exc. mattress. Bed measures 81" long x 41" deep x 45" tall (posts).